SUN VALLEY, Idaho — A skier and snowboarder are expected to be okay after an avalanche buried them for about 25 minutes Sunday. According to the Sawtooth Avalanche Center , the two were carried 100-150 yards in an avalanche they triggered in the Warm Springs Creek drainage. The skier was fully buried but dug himself out. The snowboarder was partially buried with his head and torso under the snow. He also got himself out. They were riding the out-of-bounds area on Bald Mountain, outside of the ski area boundary. Neither rider was seriously injured. 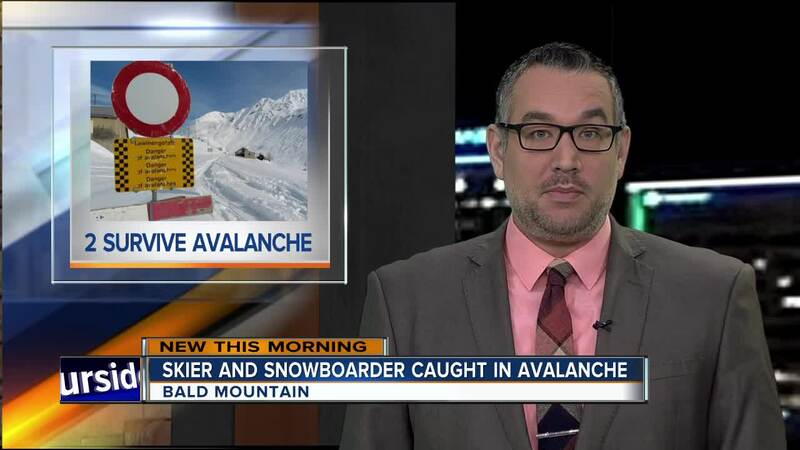 The avalanche was at least 100 feet wide and was started near 7800 feet in elevation. More information is expected to be released later today.